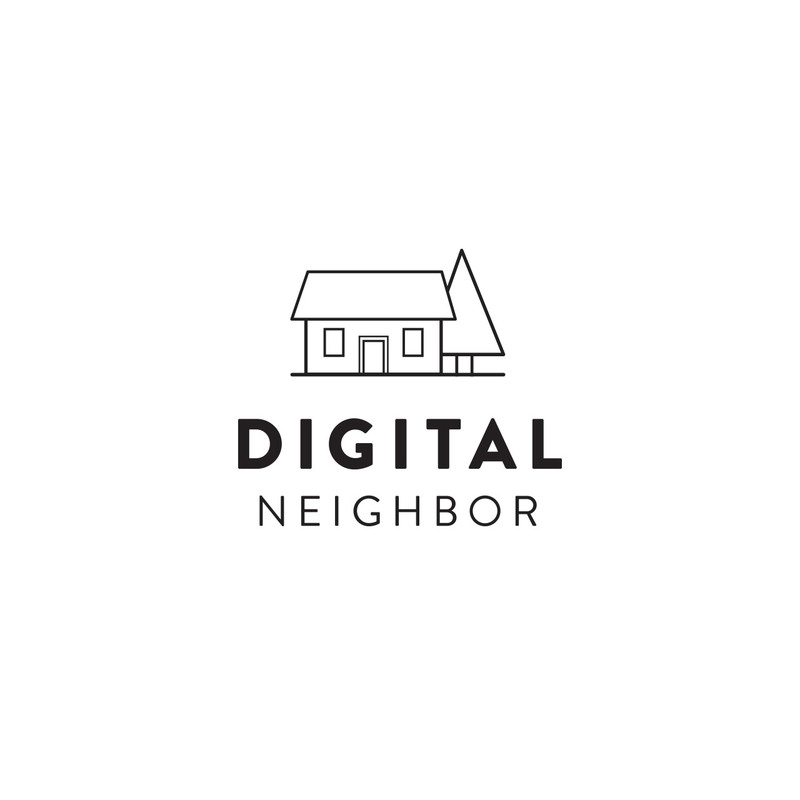 One of our past colleagues asked if we could help him with branding his new company called Digital Neighbor. His company believes you need a friendly and helpful neighbor when it comes to digital marketing. 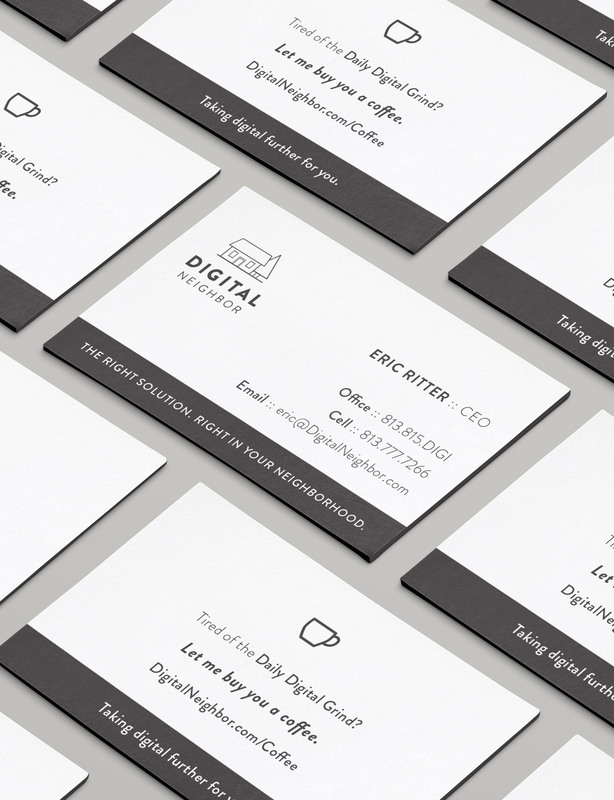 Digital Neighbor is a client and results driven Digital Marketing Agency focused on outcomes. For his brand we chose to really play up the welcoming neighborhood feel with his logo. We and our client both love monoline and simplistic style logos and this combination of a classic cape cod with a pine tree creates a neighborhood feel in a modern way. 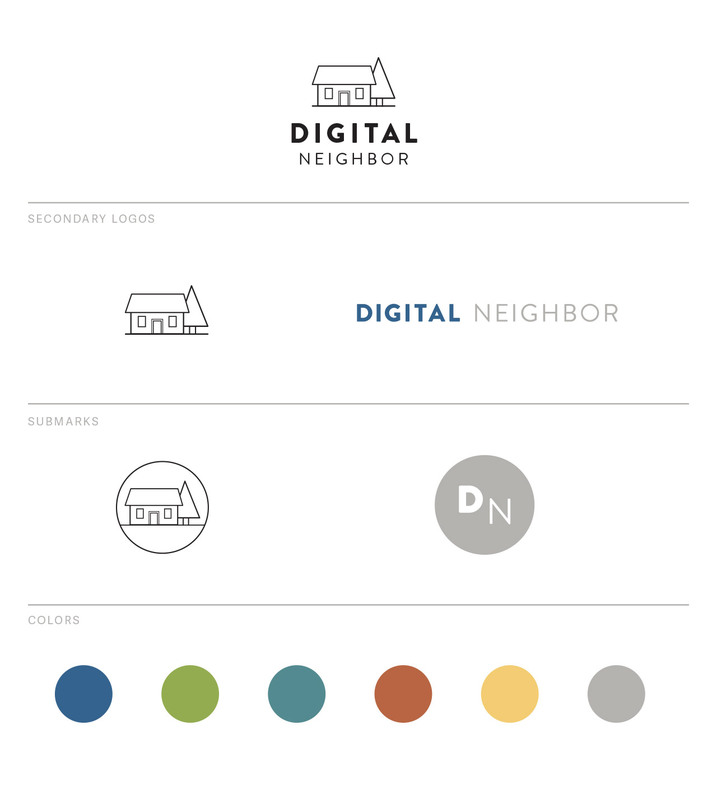 The final brand guide equipped Digital Neighbor with what he needed to start his business off on the right foot with a high-quality brand. We also created a business card design for him and loved his idea to encourage interaction with new clients by buying them a cup of coffee. It’s a great way to implement a call to action in a fresh way.